Retail companies are not the only organizations faced with inventory management issues during the holiday season. Through its network of 200 hunger-relief charities, Feeding America receives and delivers around 4 billion pounds of food to nearly 46 million people every year, the Wall Street Journal reported. One of these nonprofits, Second Harvest Food Bank, receives nearly twice the number of donations between November and December that it does during any other time of the year. The logistics challenges food banks are met with around the holidays are unique. For example, unlike private and commercial companies, most charity operations are handled by volunteers. Many of these staff members work on tight budgets and limited resources. Typically, food banks don't know exactly what or how much of an item it will get until it arrives at the warehouse, the WSJ pointed out. 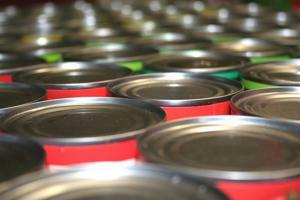 Since canned goods can be saved to use during the slower months, distributing perishable products is a priority. Not only is getting these items delivered in a timely manner crucial for managing warehouse space, but it also helps reduce the amount of food wasted. Fortunately, incorporating supply chain technology and logistics software systems is becoming a popular e-commerce industry trend, making such solutions more affordable and accessible to not-for-profit organizations. "The rising tide lifts all boats," Ian Hobkirk, a warehouse consultant, explained to the WSJ. "They've got a little extra money to do it while the cost of the technology is slowly coming down, so it is within reach for more nonprofits." According to the WSJ, Second Harvest uses logistics software from Ohio-based company Exact Macola, which that helps improve supply chain operations by quickly locating items in the warehouse and automatically sending alerts when items are about to expire. In the next year, Exact Macola plans to double the amount of nonprofits it donates the software to, managing director Alison Forsythe told the source. Since Second Harvest began using the software for expiration alerts in 2013, it has seen at least a 50 percent decrease in wasted food. The WSJ also revealed that the Tennessee food bank will be developing two new facilities over the next year, a project that will save the charity an estimated $500,000 in transportation expenses. Digital technology has also benefited nonprofits by making it easier for them to reach and engage with the public. Last week, Feeding America announced the launch of its "Set the Table" program, which provides people with the opportunity to create personalized fundraising campaigns. "This new online platform mobilizes Feeding America supporters to invite their entire network of friends, family and colleagues to join them in the fight to end hunger in America," Diana Aviv, CEO of Feeding America, said in a statement. "Our dedicated supporters have the power to truly set the table for individuals and families in need this holiday season and beyond." The charity made it so the fundraisers can be virtually operated. In addition to creating a personal page on the Feeding America website, participants will be able to make and receive donations online and connect with through email and social media.